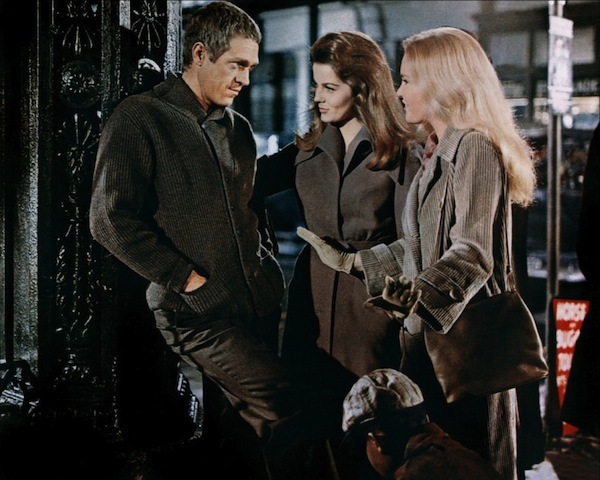 Rarely shown, The Cincinnati Kid (1965) was the only time Steve McQueen and Ann-Margret acted together. It isn’t a bad movie and there’s that novelty factor. Still, don’t look for her to jump off the screen as she did in Bye Bye Birdie (1963). Here, she’s “the girl” in star McQueen’s picture. Her lightning bolt chemistry with Elvis in Viva Las Vegas (1964) was unforgettable and real. With McQueen, there’s a few flickers that don’t catch fire. Poor Tuesday Weld fares even worse as third banana. The film was off to bad start with the firing of original director Sam Peckinpah. Replacement Norman Jewison was transitioning from light comedy to an attempt here at social drama, set in the 1930s. The movie fails as a period piece. Some of the sets look depression era but the clothing and hairstyles are 1960s contemporary and match the overall tone of the film. It would’ve been smarter to simply update the book’s setting (Ring Lardner, Jr. and Terry Southern adapted Richard Jessup’s novel.) Walter Hill’s Hard Times (1975) with Charles Bronson does a better job of capturing this era. 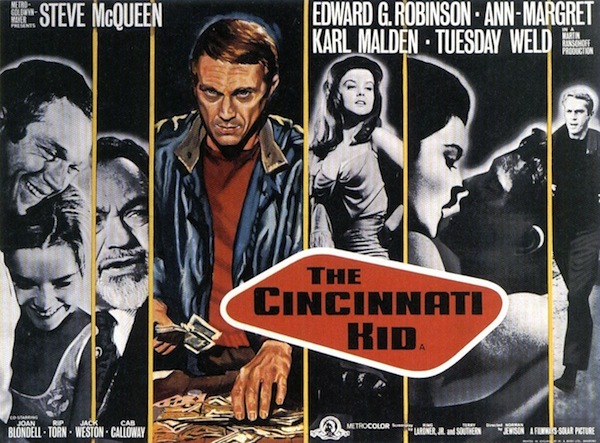 Karl Malden is the Kid’s best friend, Shooter. 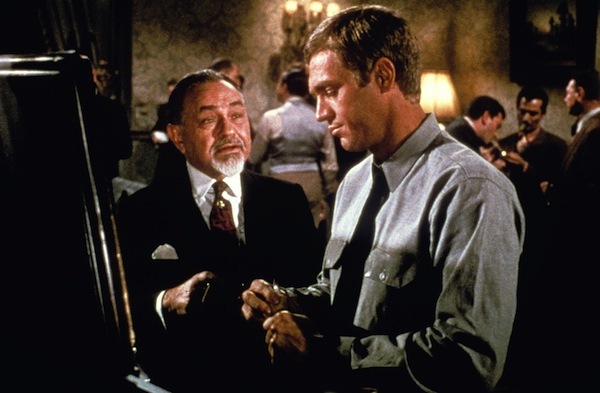 He finagles a game with high stakes card player Lancey Howard (Edward G. Robinson), potentially the Kid’s big score. There’s suspense leading up to the game. No complaints, either, about the supporting cast, including a cameo from big band leader Cab Calloway. Spring Break at SILICON BEACH!